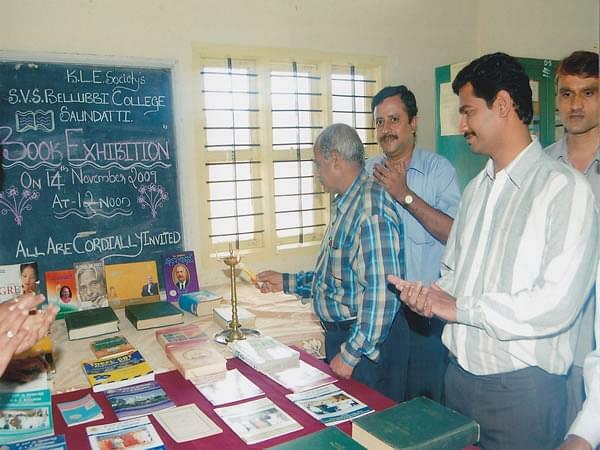 SVS Bellubbi Arts and Commerce College was established in the year 1977. It was established under the flagship of the K.L.E. society. It is affiliated to the Karnataka University. The college offers various programs in the field of commerce and arts to the students. It is recognized by ministry of higher education, the Govt. of Karnataka and college is also accredited with grade “B” level by the NAAC. It is also a centre for the (KSOU) Karnataka State Open University (KSOU), Mysore. The institute has state of the art infrastructure. The college has qualified and experienced. The admission in the college is on the basis of the guidelines of the University and Govt. The college has a well equipped and well ventilated computer lab. The computer lab has 29 high end configuration systems, latest software and 15 KVA generator support with 8 computers, about 5 printers etc and has broadband connectivity. The college has a well stocked library. The library has added about 414 books and has about 2 international journals, 2 history journals, subscribed to 7 English magazines, 3 English newspapers, and 4 Kannad newspapers. The library is in area of about 171.141 Sq. Mtr. The college provides with no. of scholarships for students of the college. The college provides with GOI ST/SC Scholarship, Post Matric Scholarship, Endowment (Renuka) Scholarship and many other. Why to Join SVS Bellubbi Arts and Commerce College? 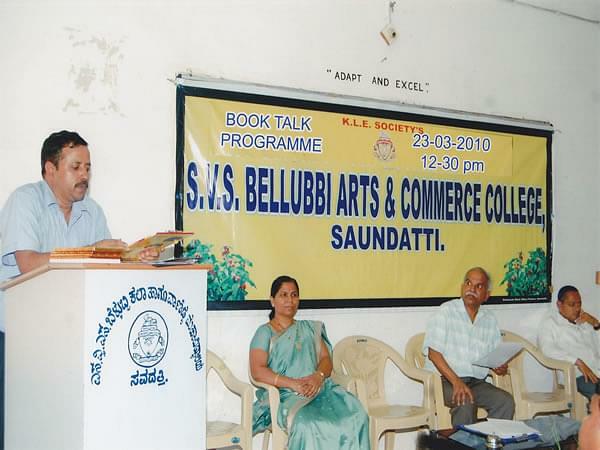 SVS Bellubbi Arts and Commerce College organizes several workshops at state level and certain national level seminars in which the faculty as well as the students of the college takes part actively. These are organized to enhance the knowledge and skills of the students on different subjects and topics. 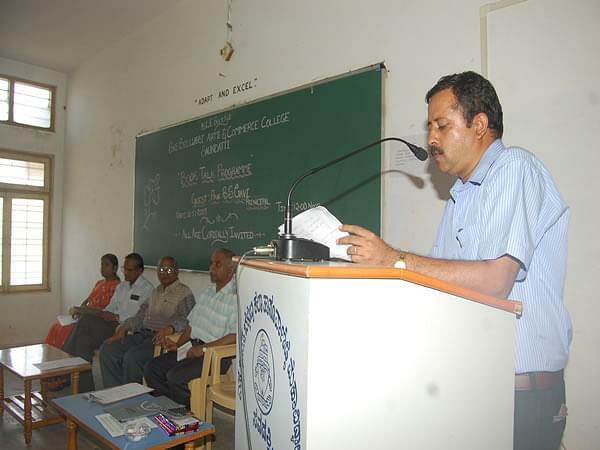 The staff member of college has also presented papers in some of the national & national seminars.